Korea Tourism Organization recently announces the arrival of 4 Korean performing groups: NANTA, National Gugak Centre, Musical 'Only You' and Musical 'Finding Mr Destiny' to perform at The Star Theatre, The Star Performing Centre, Singapore on 26 and 27 April 2018 for the 2-Days K-Performance Night. The performances will be separated into 3 different categories: non-verbal, traditional and also musical. 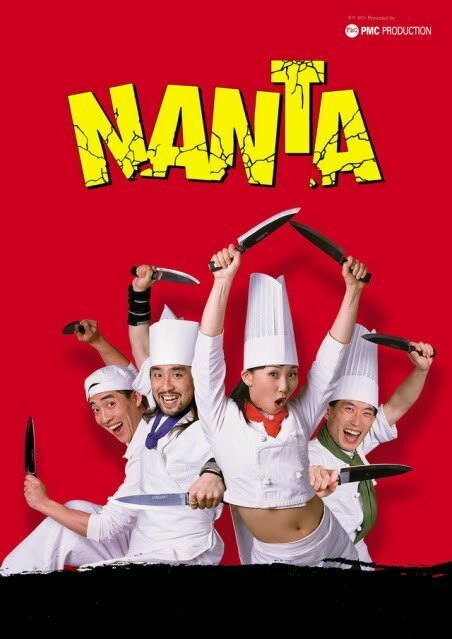 Nanta is the first Korean nonverbal performance that depicts what happens in a restaurant kitchen in a comical manner with samulnori rhythms, traditional Korean music, as its subject. As it combines a kitchen, a universal place, and cooking, a familiar subject, with comical factors, audience members of every generation are attracted to it and can enjoy it with excitement. That is how Nanta has become the most Korean and yet global performance work which people all over the world can relate to. 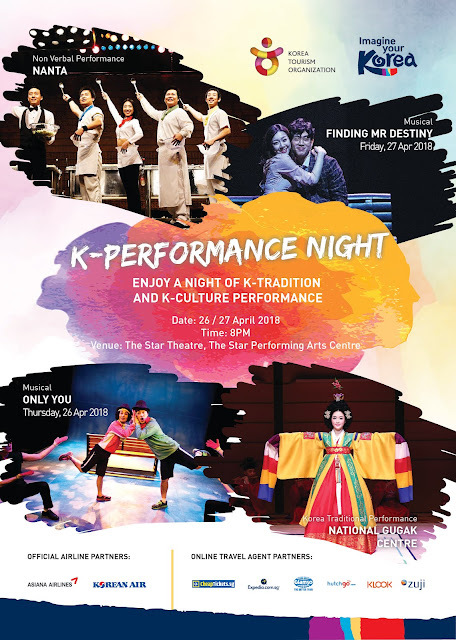 ‘Saturday Performance of Korean Music & Dance’ is a representative stage of the National Gugak Centre where foreign travellers can experience various elements of Korean traditional performing arts. 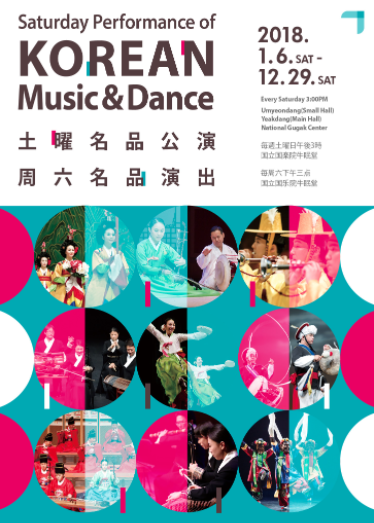 Saturday Performance of Korean Music & Dance consists of traditional music, dance, and singing performances that have been performed for over 30 years. Whether audiences are new to gugak or an avid lover of gugak, Saturday Performance of Korean Music & Dance will offer memorable experiences of arts and class. Only You tells the story about an ordinary couple and has an omnibus format that depicts a life journey of 37 years. It is a music drama in which Korean pop songs from 1990 to 2000 are sung according to the situation. 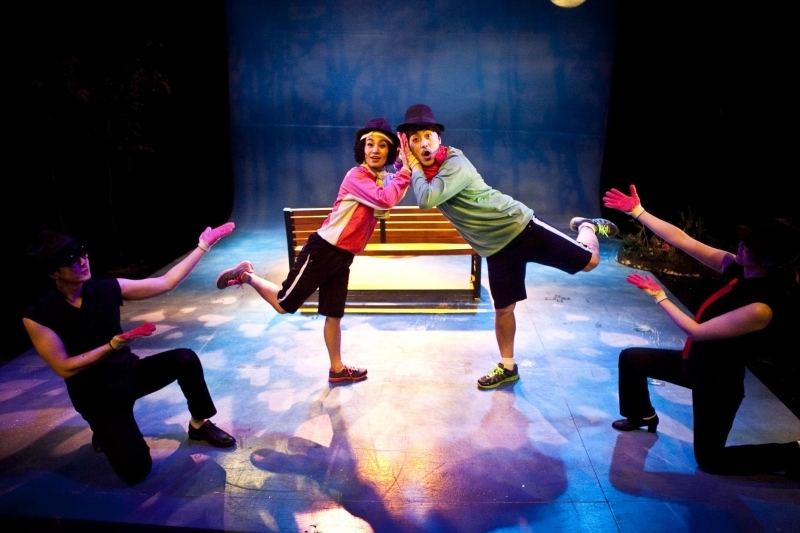 The audience for is a whole generation, and its theme is not just “love,” but also life. It makes the young audience think of their parents and about the future with the person next to them now and makes middle aged and old couples look back on their life and visualize the rest of their lives. It is the best family performance that every generation can enjoy. Marking its 12th anniversary, Korean romantic comedy musical Finding Mr. Destiny is one of the most successful romantic comedy musicals in Korea! Since its debut in 2006, the show has been on the stage approximately 7,000 times and snatched up a million viewers. This year, the show is marking its 12th anniversary. Over the years, the show has garnered several awards: in 2006, it won two awards during the 12th Korea Musical Awards in two categories, including Best Actress; four awards in 2007 during the 1st The Musical Awards in four categories, including Best Lyrics and Best Screenplay; and the Musical of the Year in 2010 during the 11th Korean National Assembly Award. Admission: This is a ticketed event and tickets are complimentary with purchase of Korea Packages from participating Travel agents.